Lee Chrouch (aka Lilleeth) is currently completing her PG Dip in Cognitive Behavioural Psychotherapy. Lee has worked for 14years as a Mental Health Social Worker within the NHS, working with a range of long-standing mental health difficulties including anxiety, depression, phobias and obsessive type disorders. 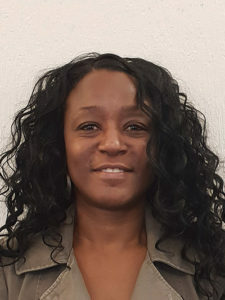 Currently Lee works within the transcultural team and has developed valuable skills and knowledge around Legislation when working with refugees, asylum seekers and victims of trafficking. Lee has a passion for working collaboratively with clients to help and support individuals put meaningful strategies in place. Lees experience as a CBT therapist includes working with depression, anxiety, low self-esteem and post-trauma stress disorder.